Philippine fruits are among the most mouth-watering varieties in the world. Rich in nutrients, tropical fruits such as mango, durian, and lanzones have tickled local and foreign taste buds alike. The country’s fruit industry also plays a crucial role in the economy. In 2011 alone, the Bureau of Agricultural Statistics (BAS) reported a 2.34% growth in the agricultural sector. As a result, experts are now in continuous search for innovations that will benefit Filipinos whose livelihood depends on the fruit industry. 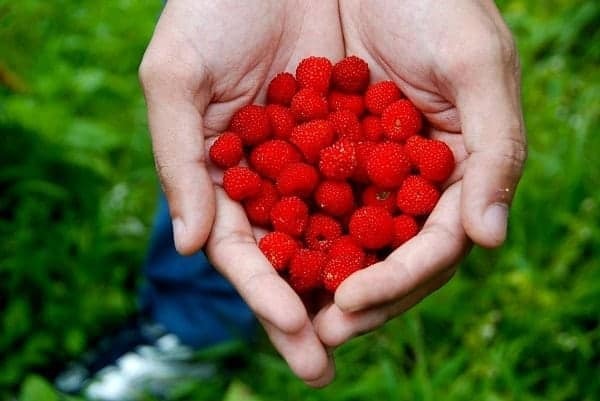 Scientific name: Rubus rosifolius Linn. Fruity details: Discovered in 2009 by OFW Dionisio Pullan, sapinit is a type of shrub that typically grows in Mt. Banahaw. 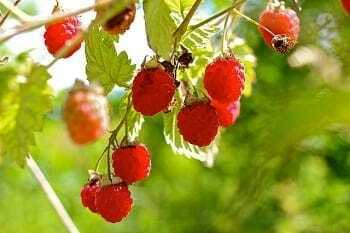 It features a prickly stem which makes it a raspberry instead of strawberry. Sapinit can grow as high as six feet and has a unique sweet-sour-bitter taste. With the help of the Bureau of Agricultural Research and its partnership with the Quezon Agricultural Experimental Station (QAES), sapinit has been processed into jam, juice, and wine. Laboratory analysis has shown that sapinit is rich in phytochemicals that inhibit the development of Alzheimer’s disease and certain types of cancer. Fruity details: Considered as an undomesticated species, this egg-shaped fruit comes from a medium-sized tree that grows in the Philippines as well as Thailand, India, Malaysia and other countries in South East Asia. The oblong fruit typically measures 1.8 – 2.0 cm long and features a distinct light green color. Its thick pulp or flesh is often eaten raw although you can also boil it to bring out a more delectable taste. The kernel (seed), on the other hand, can either be boiled or roasted. To prolong the fruit’s shelf life, local folks recommend to sun-dry the fruit for three days before storage. 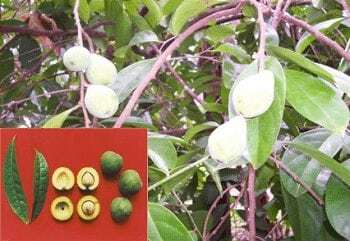 Scientific name: Syzygium tripinnatum (Blanco) Merr. Fruity details: Hagis is a midsized tree that grows up to 20 m. high. 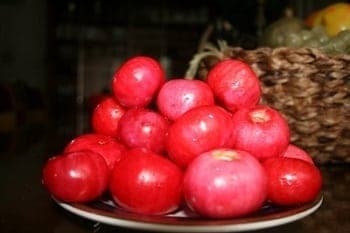 More common in the provinces of Sorsogon and Bicol, the white hagis fruit turns cherry red upon maturation. Its pulp is juicy yet sour. You can enjoy eating it raw or you can mix it with salt or sugar to neutralize its sour taste. Like sapinit, the hagis fruit can also be processed into jam, jelly, or juice. Scientific name: Antidesma bunius (L.) Spreng. 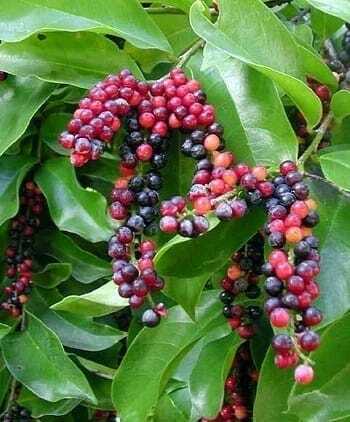 Fruity details: Bignay is another tropical Philippine fruit which grows from a shrub. It is characteristically thin-skinned and purple to dark red in color. Rich in antioxidants, its sour flesh can be eaten raw or processed into homemade products such as wine, tea, jelly, and jam. Bignay is more common in Nasugbu and Lipa, Batangas as well as some provinces in the Visayan region. Fruity details: Lipote belongs to the same family as the clove. 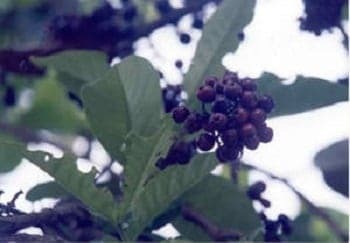 Its fruit comes in clusters and has a distinct purple to almost black color. It is similar to the fruit duhat but differs due to its compact clusters. The flesh is slightly sour but turns sweet when ripe. An excellent source of Vitamin C, lipote can be eaten raw or processed into agricultural products like jelly, juice, jam, and wine. Fruity details: Biriba has its origin in the Brazilian-Peruvian Amazon. Heart-shaped and rich in hexagonal protrusions, this fruit is one of the few known edible species of the genus Rollinia. It measures 9 cm. 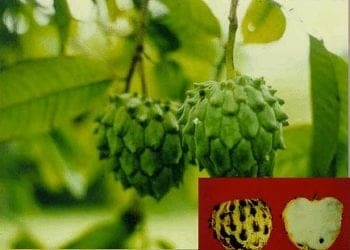 in diameter and features white, juicy flesh and several brown seeds. Biriba is known for its creamy texture that’s why it is usually eaten fresh or prepared as juice, sherbet, and other desserts. Its grounded seeds, on the other hand, can be used as an insecticide. 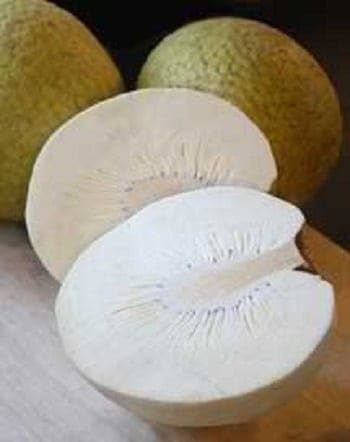 Fruity details: As its name suggests, breadfruit or rimas smells like a freshly baked bread when cooked. It is believed to have originated in the South Pacific. In the Philippines, rimas is usually cultivated as an ornamental plant while its fruit is either boiled or made into candies. Roasted breadfruit resembles chestnuts both in terms of aroma and texture. It is rich in carbohydrates and is also an excellent source of calcium, magnesium, vitamin A, protein among others. Lol we’ve been eating Sampinit way before 2009!!! I think wrong info na yung OFW yung naka discover nyan even my great grand mom (who took care of me) knows that it could be eaten. Punta kayo sa baba ng san Pablo shopping mall and even sa gates ng mga elementary schools sa san pablo laguna malamang pati yung pinaka matandang teacher nila dun alam nila na hindi nun 2009 lang nadiscover ang sampinit ??? I think Aratilis (spelling?) is one of the less-known. But not as less-known as those written here. Aratilis is like plum or berry. Just like Bignay from above but instead, it grows into lively-red color and green when unripe. It usually has a mild-sweet and sour taste but tasty nonetheless. A green, round fruit which has brown hair-like fibers in between the peel and the main fruit. I remember it as having a sour-sweet taste. Last time I ate it was when I was a kid at my grandfather’s farm in Lucena, Quezon province. yambo – just like macopa but purple in color,sweeter and the pulp is softer. it is a big tree like the mango. think it belongs to the macopa family. rarely seen nowadays, but grows in quezon province. Makopa, a lesser known fruit. The makopa tree can grow very large and tall. Its fruits ripen into a bright red or blush. The flesh of the fruit is crunchy and sweet. Fruity details: The fruits of Uvaria rufa are edible, having a sharp sweet-sour taste. The wood is also used as a Rattan substitute in making furniture and handicrafts.